Textile racks need to adhere to the need of the textile merchandiser as the more apt the textile display, better will be the sales. Though there are different types of racking and storing systems available, showrooms popularly use the gondola type racking system where the two sides of a common pegboard or hard board are used as racks. This type of racking system is very popular in. ♦ supermarkets ♦ shopping malls ♦ merchandising units ♦ retail outlets ♦ food stores ♦ pet shops ♦ gift shops etc. There are plenty of choices available while choosing the ideal racking solution for a textile showroom. 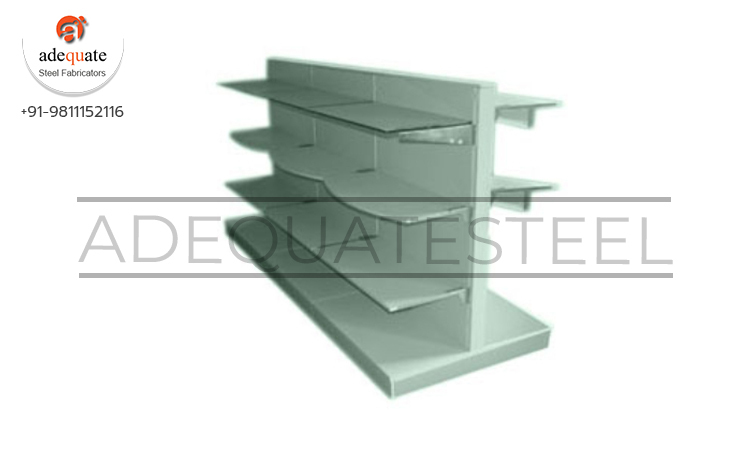 Adequate Steel offers the best in the line when it comes to textile racking solutions and some of the common racking systems offered by them include ♦ textile center racks ♦ textile hanger straight display units ♦ textile hanger inclined display units ♦ textile round wooden racks ♦ textile rack centre mini gondolas ♦ textile rack wall gondolas without base ♦ textile rack wall gondolas with base ♦ textile rack center gondolas ♦ personal care shelves ♦ textile inclined holders.